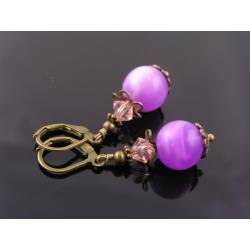 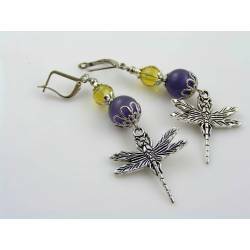 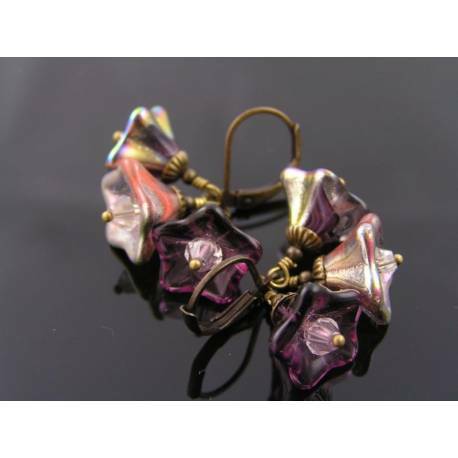 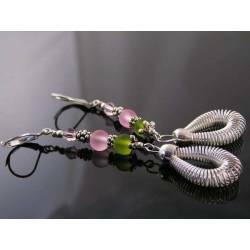 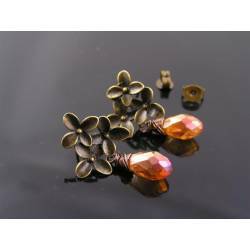 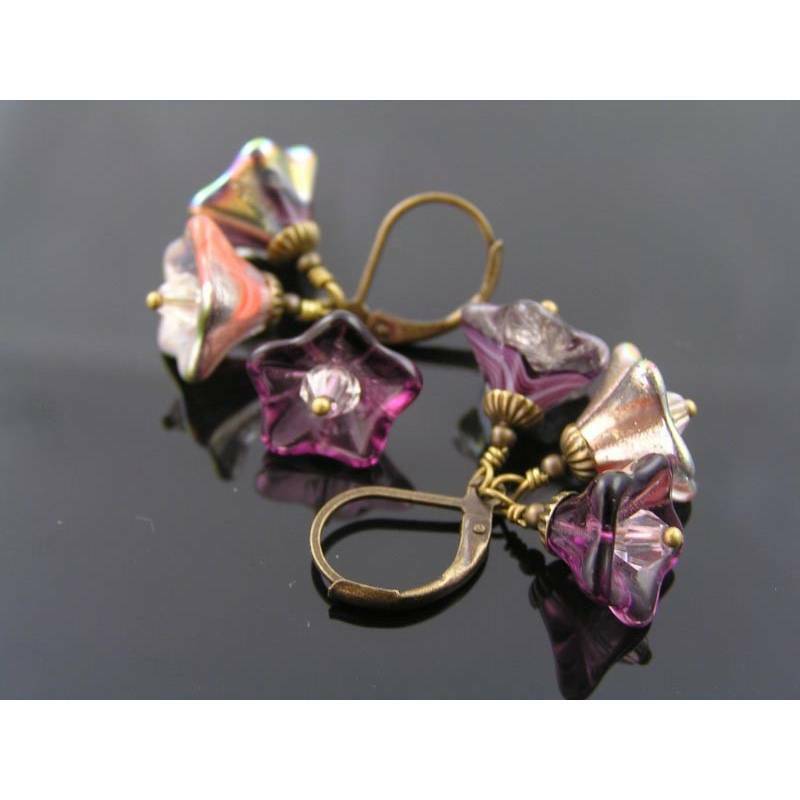 This is another variety of my popular Czech flower earrings. 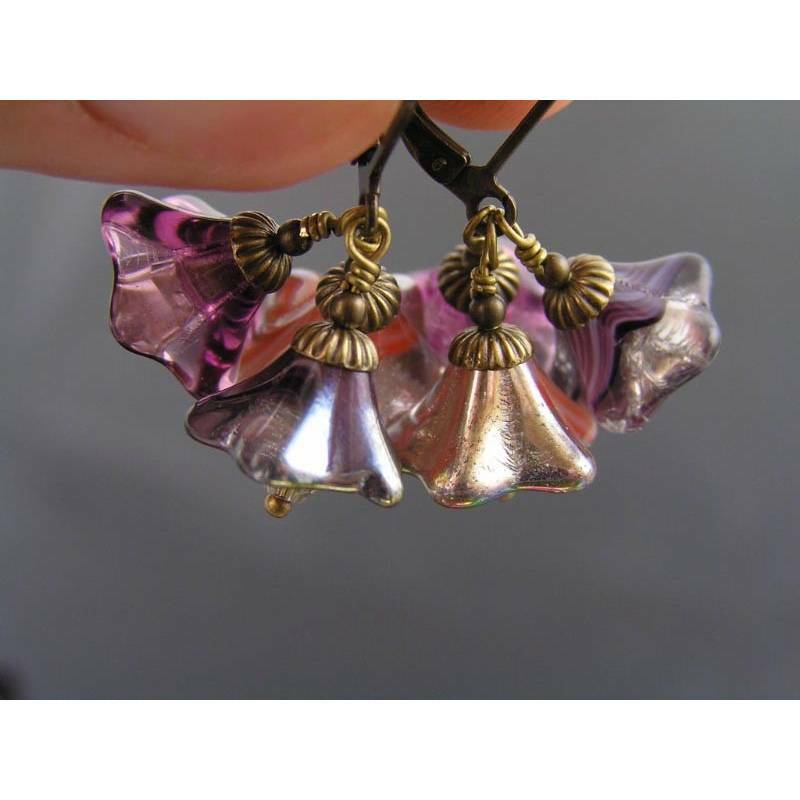 Three flowers per earrings which are topped with bead caps and little beads. 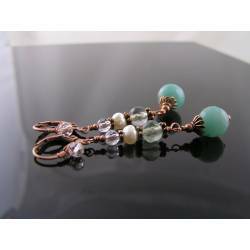 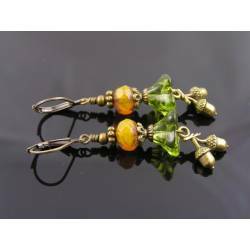 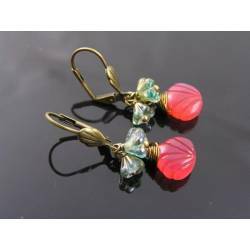 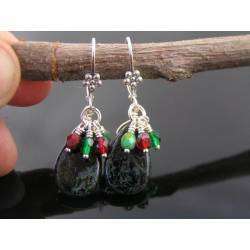 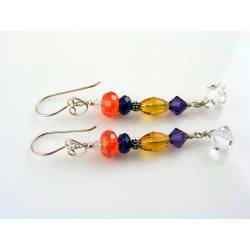 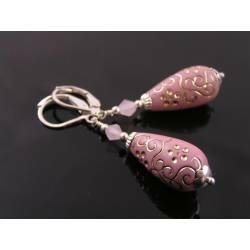 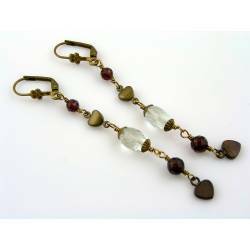 The earrings are filled with little crystal bead. 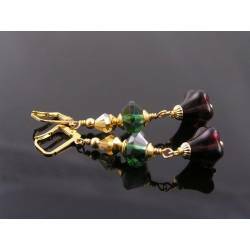 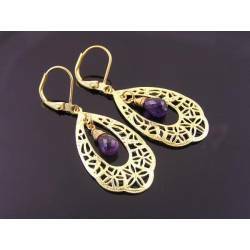 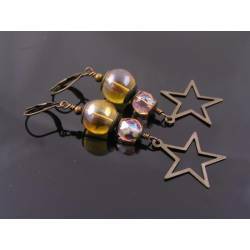 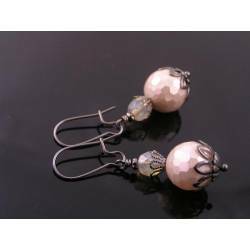 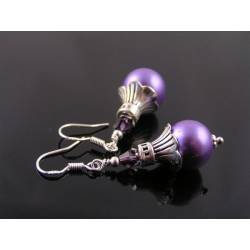 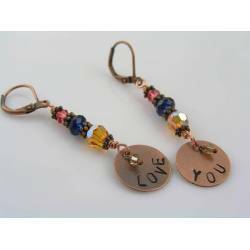 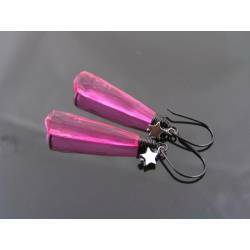 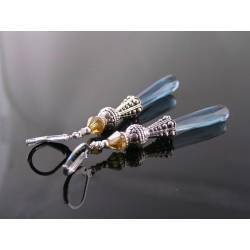 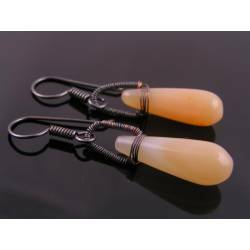 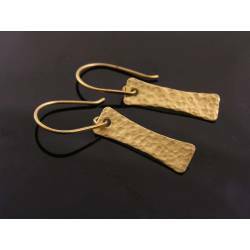 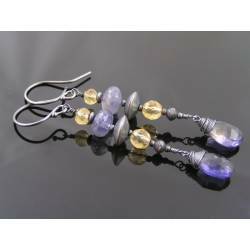 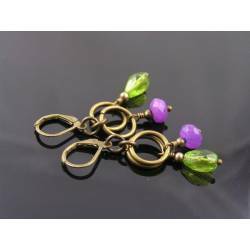 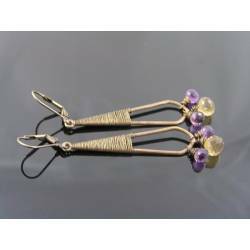 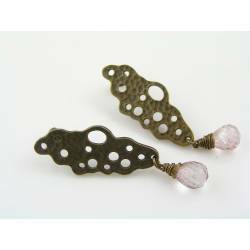 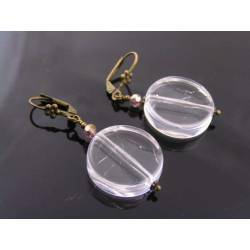 Total length of the earrings is just under 3cm, all metal is solid, oxidised brass.